Abu Dhabi, 3rd March 2019: Roberto’s Abu Dhabi is giving all gourmets the chance to wallow in their exclusive Parmigiano Reggiano aka parmesan cheese menu, available through March. Parmigiano Reggiano is known as the “king of cheeses” for its particular productive, nutritional and organoleptic characteristics. Group executive Chef Francesco Guarracino has designed a menu dedicated entirely to Parmigiano Reggiano cheese including the desserts. The menu kicks off with the starter which is fried polenta with grilled porcini mushroom, truffles and 18-month Parmigiano Reggiano for AED 90. Guests can also enjoy a homemade pappardella pasta with butter and sage sauce served in a 22-month Parmigiano Reggiano wheel for AED 70. 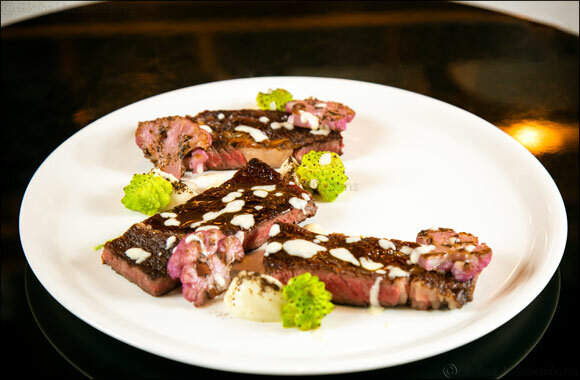 For the main course, there is deep fried black cod with chives and 20-month “Vacche Rosse” Parmigiano Reggiano for AED 180 and Wagyu ribeye cooked with cauliflower, coffee powder and 30-month “Vacche Rosse” Parmigiano Reggiano for AED 220. To complete the indulgent dining experience, Chef Francesco has created a dreamy dessert of a “baba” with pear topped with vanilla whipped cream and a 24-month Parmigiano Reggiano ice-cream for AED 55. The Parmigiano Reggiano exclusive menu will be available throughout the month of March from 12pm until 11pm.